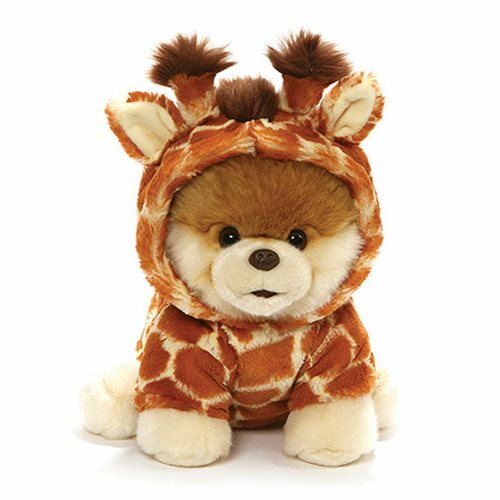 From Gund comes the Boo the Dog Boo Giraffe 9-Inch Plush! This plush version of Boo, the wildly popular Pomeranian internet sensation is a must have for fans. This realistic plush of the World's Cutest Dog is all dressed up in an adorable giraffe outfit complete with fluffy horns and mane and perky patterned ears! Surface washable for easy cleaning. Measures about 9-inches tall x 8-inches long x 7-inches wide. Ages 1 and up.